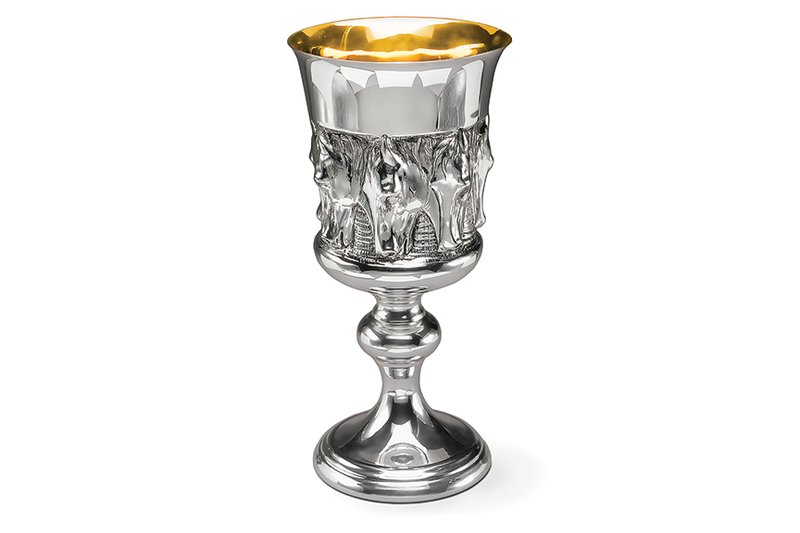 The stately Tall Horse Goblets are stunning on the dining table or for a luxurious picnic in the stands. Measuring 7 3/8" tall, featuring handcrafted repoussé horses of the finest sterling. It also makes a perfect wedding present for horse lovers. Capacity: 12 fl oz.